The first match to be held at the stadium after the new press box is provided is the third and final Twenty20 match between visiting Sri Lanka team and Indian team on February 14. 13.05.2017 : The Laqshya Badminton Academy was inaugurated by filmmaker S.S. Rajamouli, amidst a rousing welcome, at Green City, Vadlapudi Post here on Friday (12.05.2017). The brainchild of badminton coach M.V. Murali Krishna, the academy has six badminton courts, swimming pool, air conditioned gym, specialised fitness zone, accommodation facility, uninterrupted power backup and parking space for 50 cars. 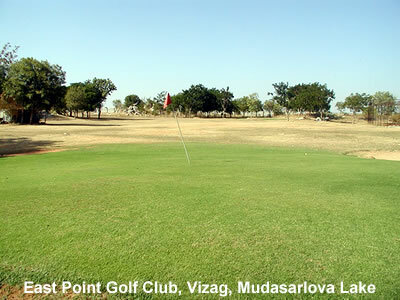 It is located at a distance of 2 km from Duvvada railway station and 8 km from the airport. Mr. Krishna started his journey in professional coaching from 1993. Having donned the India jersey in World Masters (above 35) Badminton Championship held in Turkey in 2008, he also reached the quarter-finals at the World Masters Meet held in Turkey in 2013. Thanking Rajamouli for making it for the inaugural of the academy, Mr Krishna spoke about the long association with the filmmaker and said, "I am greatly inspired by my friend and his commitment towards work." Among others, badminton coach Ganguly Prasad, R. Srinivas, vice-president AP Badminton Association and president of the Olympic Association, Visakhapatnam, T.S.R. Prasad were present at the inaugural. Government/ Private schools, colleges give importance to the Sports & Games by providing proper facilities like coaches, equipment, play grounds etc. They should try to encourage the children for playing sports and games from primary school level and also see that every school/college should have compulsory sports period. Government as well as private organizations should come forward to support and encourage the sport persons in the city and also to develop existing play grounds, this is very much required since we have 125 crore of the population in India and won only 2 medals in the Rio Olympics, 2016. Sports to be made compulsory in schools. District Sports Authority should conduct inter school / inter college / inter university competitions frequently to encourage sports and also to develop competition among the students.District Sports Authority should conduct inter school / inter college / inter university competitions frequently to encourage sports and also to develop competition among the students. 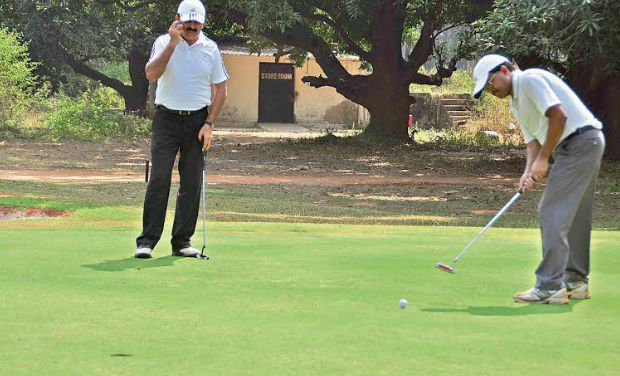 The city has many grounds for playing different types of sports and also cricket stadiums has been using for playing Ranji Trophy & International Cricket matches . 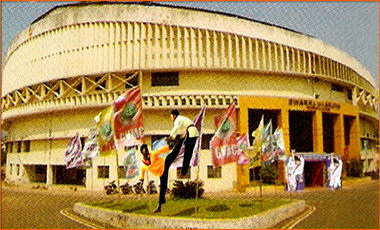 The City also has coaching centers for Tennis, Badminton, water sports etc. 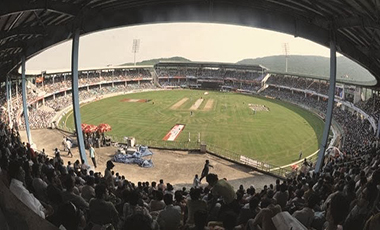 Indira Priyadarshini Municipal Corporation Stadium near one town area is the first cricket stadium in Visakhapatnam City hosted the first One Day International Cricket Match. 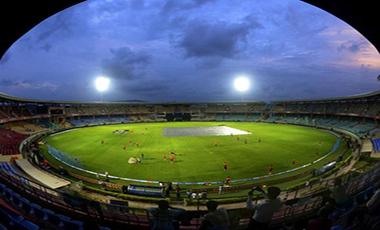 Dr. YSR ACA-VDCA Stadium at PM Palem, Madhurawada hosts the Ranji Trophy matches, One day International Cricket matches and also IPL matches. 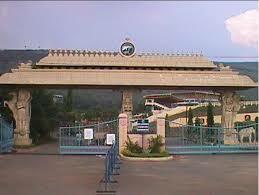 The ACA-VDCA Stadium was recently awarded test status making it the 9th venue in the country with test cricket status. Port Trust Golden Jubilee Stadium is the second-largest stadium in Visakhapatnam, which has hosted Under-19 Youth International matches. 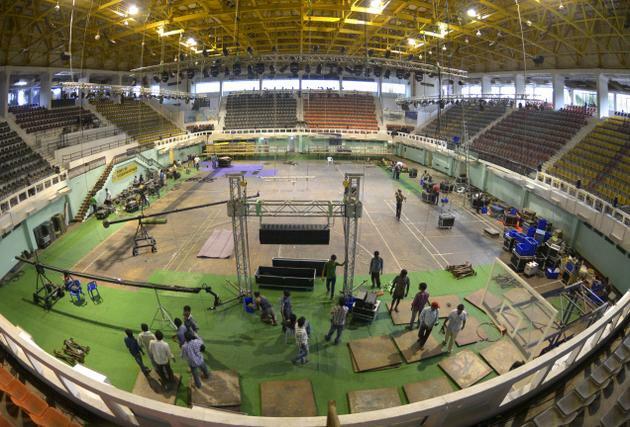 Swarna Bharathi Indoor Stadium, hosts state level /national indoor games, GITAM university Indoor stadium, Port Golden Jubilee Indoor Stadium. Apart from the above, Railway Stadium, Andhra University Engineering college ground, Andhra Medical college ground, Alwardas ground, Police Stadium, Ukkunagaram Stadium, Hindustan Zinc Stadium, are the major grounds in the city. Also some schools/colleges have good grounds in their premises. Visakhapatnam, a City of Destiny, Port City, Steel City, Cosmopolitan City, is the largest city in the State of Andhra Pradesh, India and also the third largest city on the East Coast of India, popularly known as Vizag, often called as 'The Jewel of the East Coast', is being developed as a Smart City.